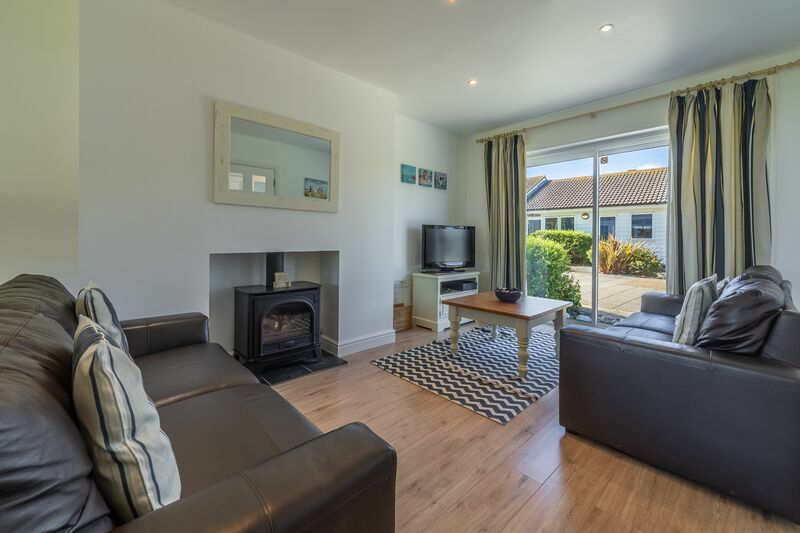 Welcome to open-plan living, West Bay style. 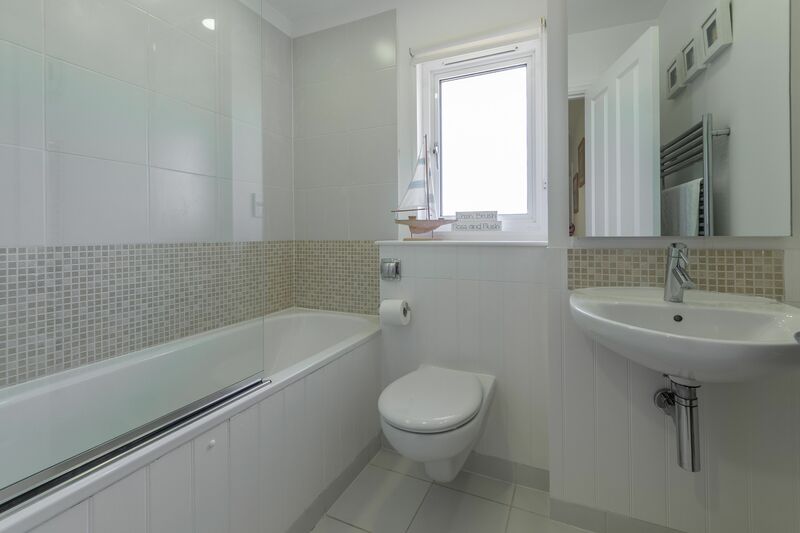 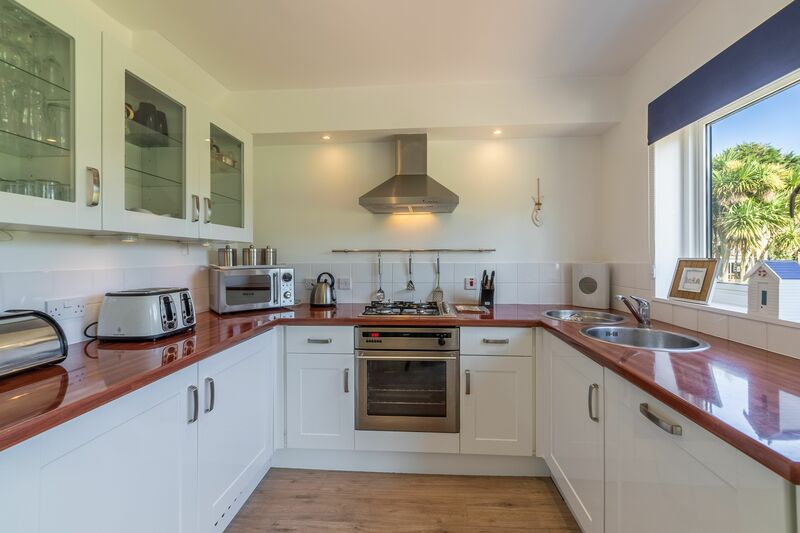 This three-bedroom, two-storey house has a large open plan living area, with a dining table and chairs and well-equipped kitchen complete with dishwasher. 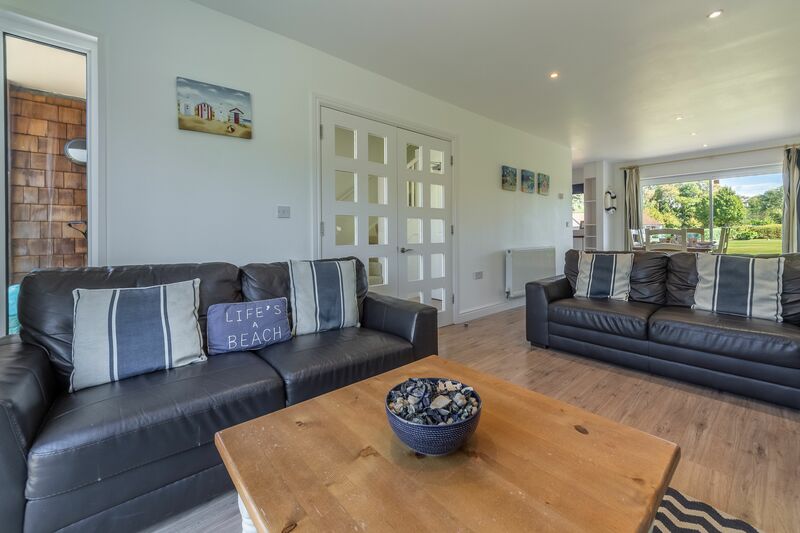 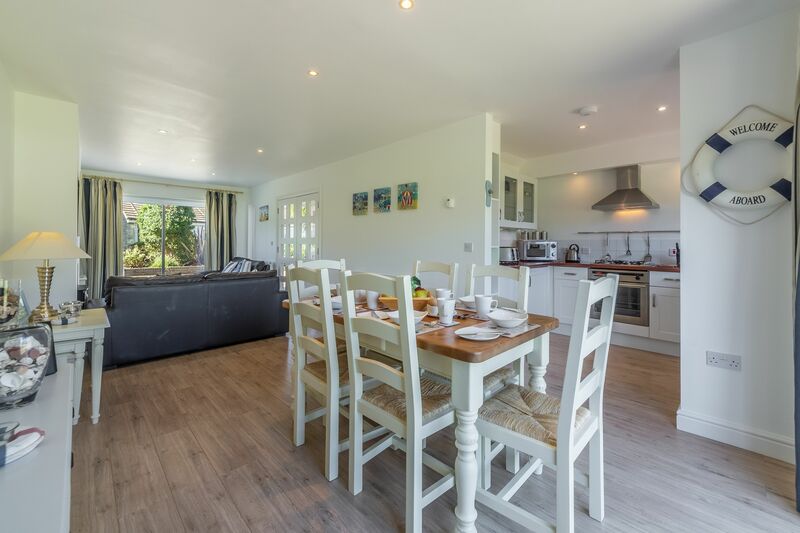 The open-plan space also includes a comfy lounge with sofas, an ornamental wood burning stove and a Freeview TV with DVD player. 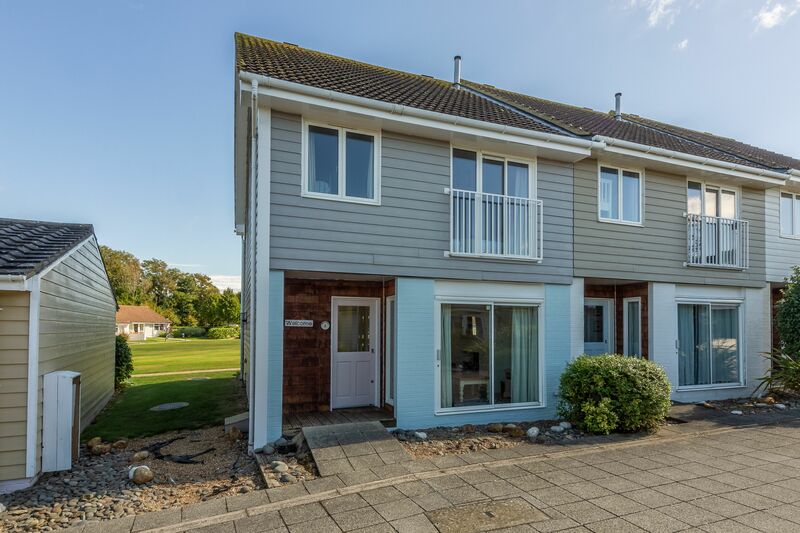 Thanks to the patio doors, you can step straight out onto the rear decking area and, if you fancy a stroll, a communal lawn is just beyond. 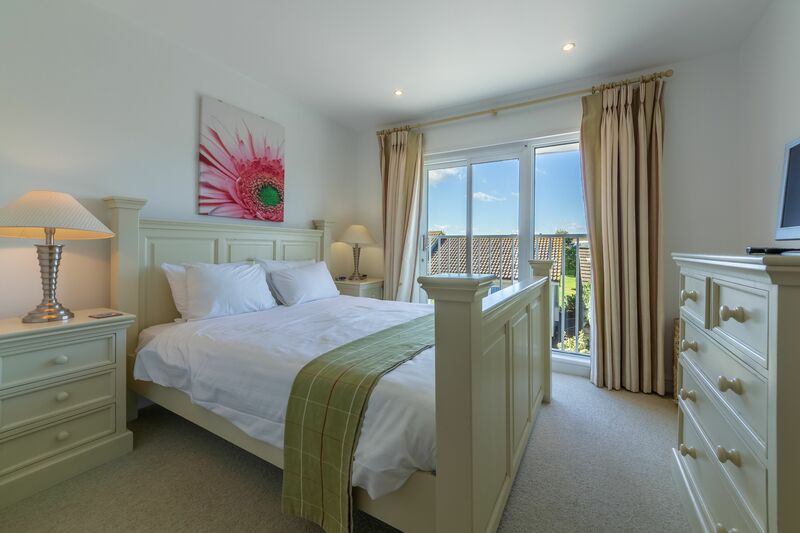 The master bedroom here is light and airy and comes with a comfy king size bed as well as an en-suite shower room and a window with balcony railings. 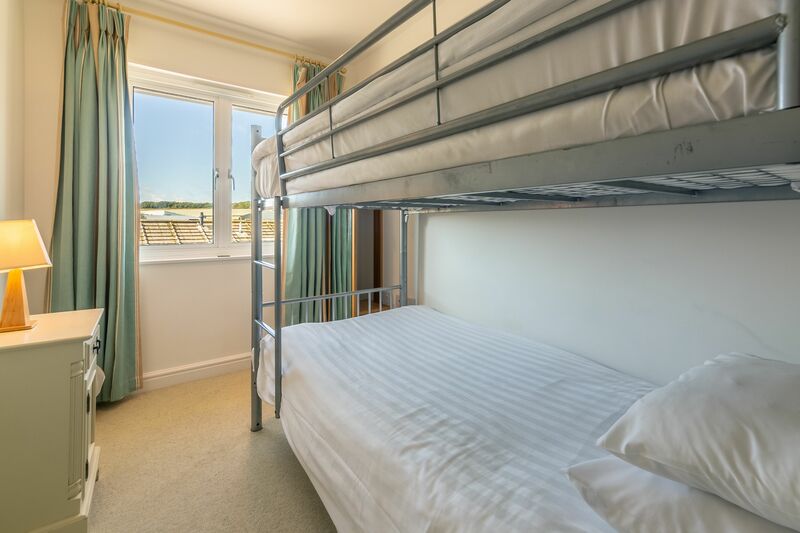 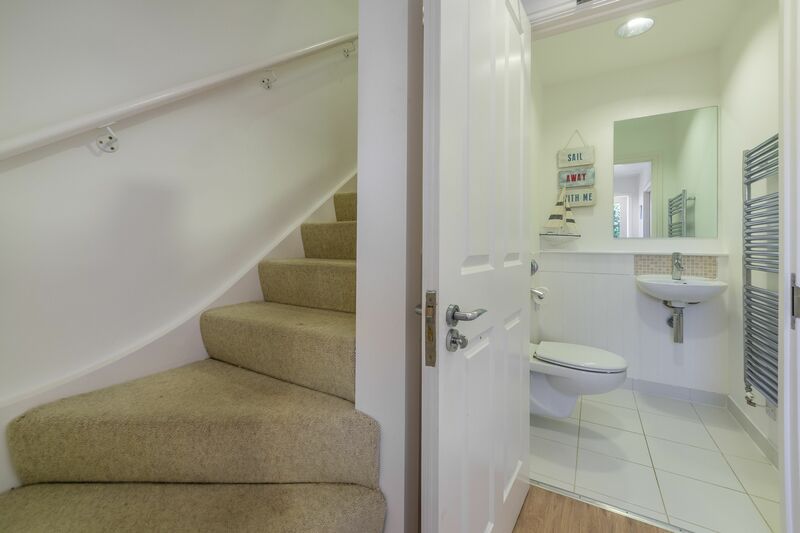 A twin bedroom also has balcony railings, and a bunk bedroom and family bathroom with a shower over the bath complete the rooms upstairs. 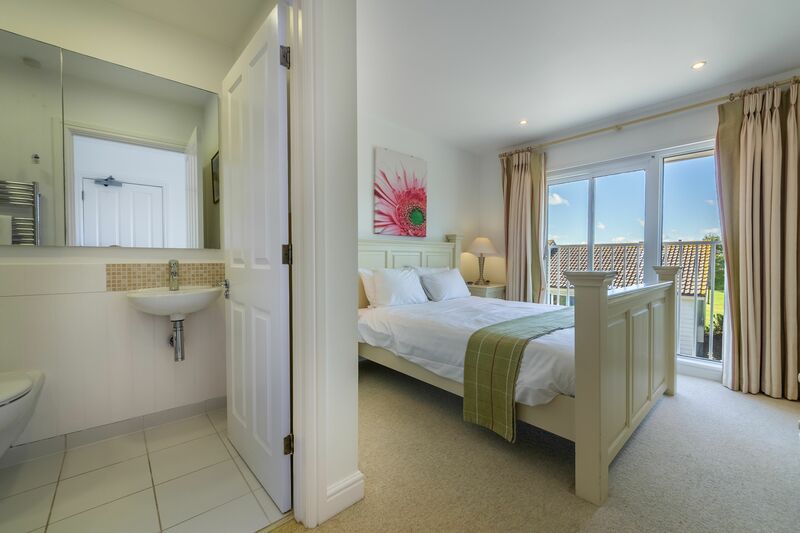 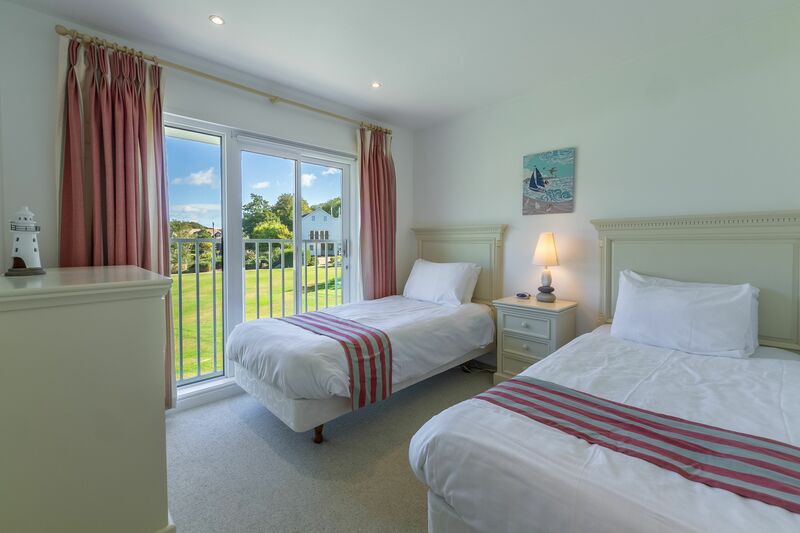 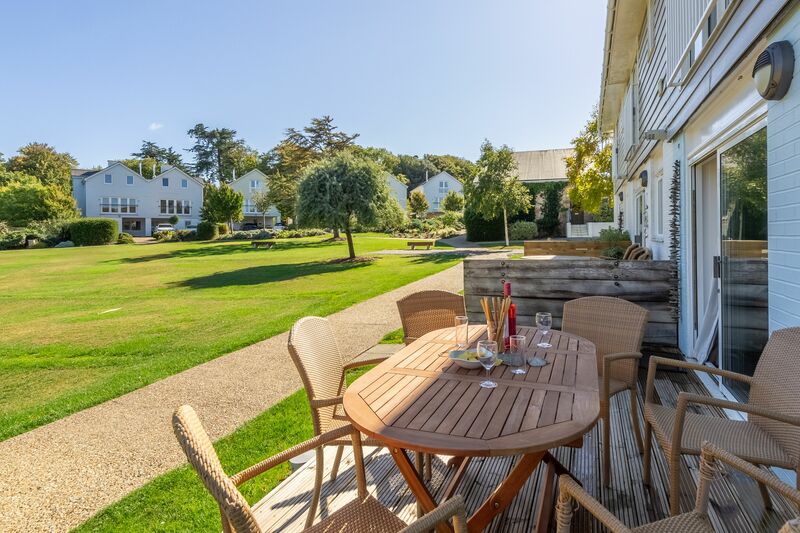 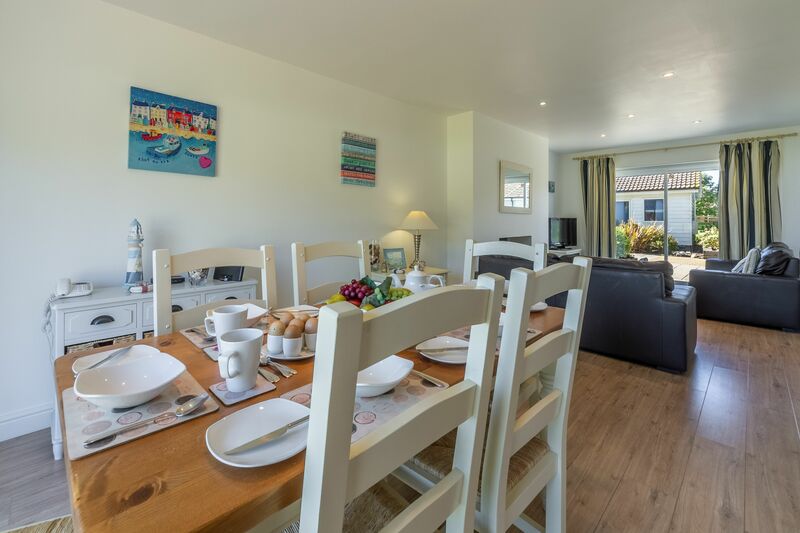 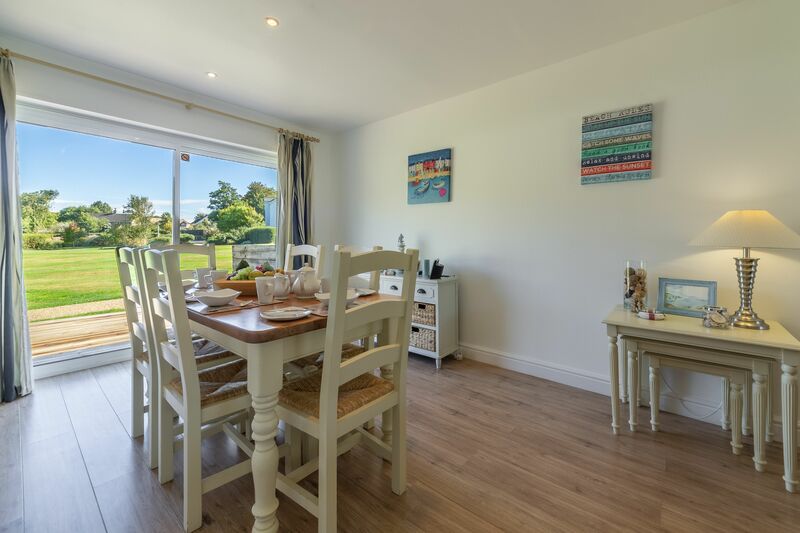 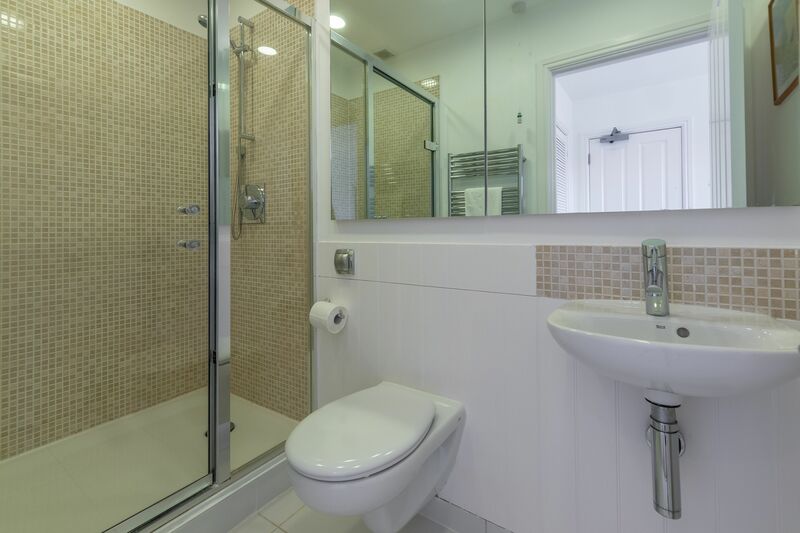 Whether you want to dive into all the amenities that West Bay has to offer, or you want to do your own thing as a family, this could be the ideal place to base your holiday.